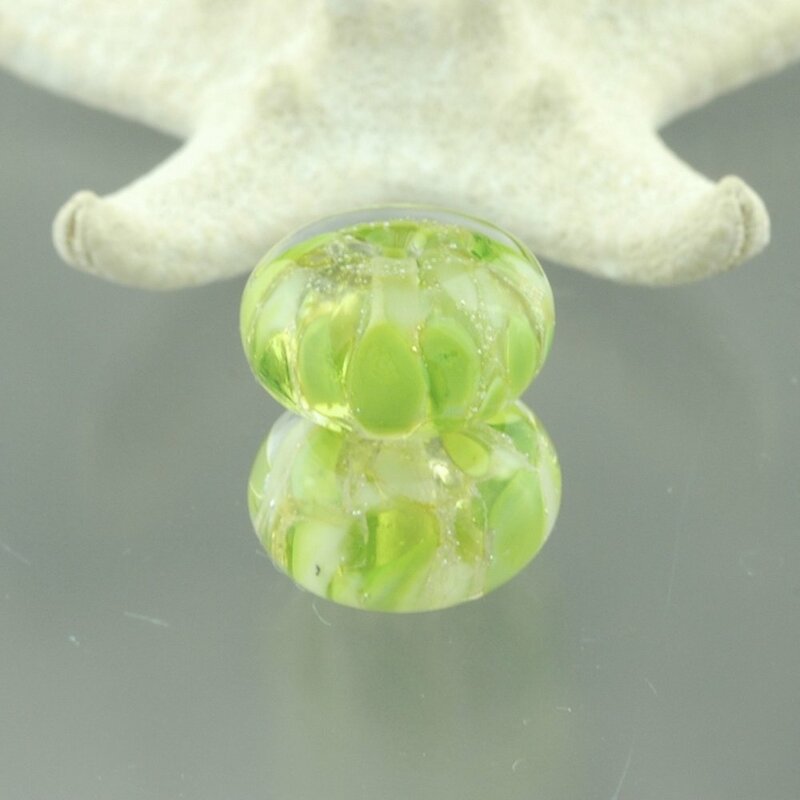 A pair of beads perfect for earrings. Fine silver foil with multi colours all encased in crystal clear. Silver shimmer in these beads! Shipping is 6.00 within north america and 9.50 overseas. I can combine shipping, from multiple auctions and multiple sites. I am in Victoria BC, Canada. Please allow adequate ship time. 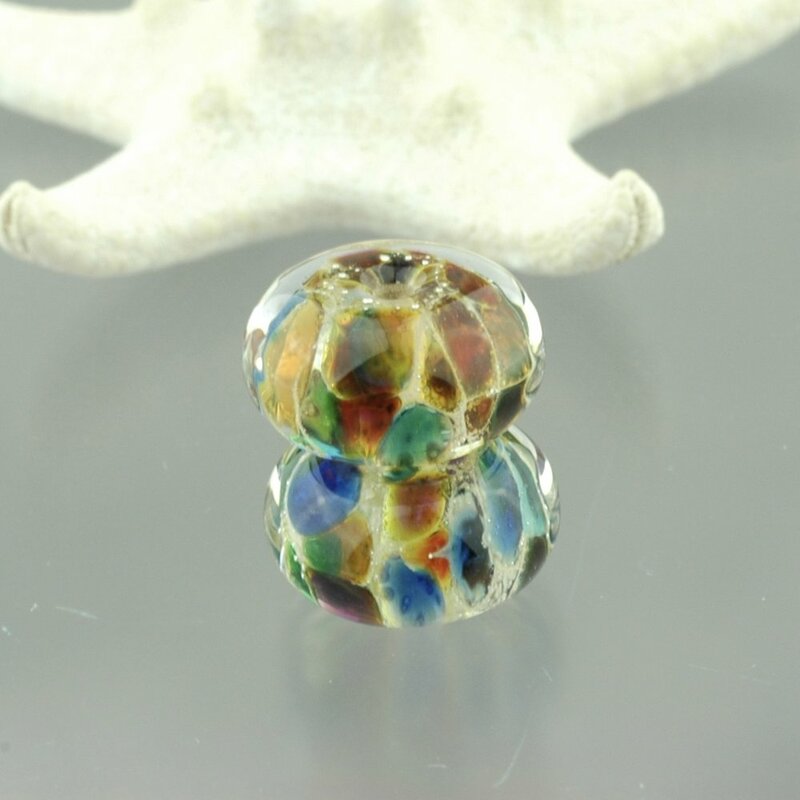 A pair of beads perfect for earrings. Fine silver foil with greens all encased in crystal clear. Silver shimmer in these beads!